Researchers with a biotechnology company that makes antibody-drug conjugates (ADC) for hard-to-treat cancers like malignant mesothelioma say careful patient selection is the key to treatment success. Writing in the journal Advances in Therapy, John Lambert and Charles Morris of Massachusetts-based ImmunoGen call for the development of a “patient selection strategy” so that more mesothelioma patients and those with other cancers can take advantage of the power of ADCs. Many of the most dangerous side effects of mesothelioma treatment happen because standard systemic chemotherapy attacks both malignant and normal cells. But an antibody-drug conjugate is different. These combination drugs are created by attaching a cancer-fighting agent to an antibody. By using an antibody that is attracted to a target produced specifically by cancer cells, or produced in larger amounts by cancer cells, an ADC can effectively deliver the drug to a mesothelioma tumor without harming the surrounding healthy cells. This targeted drug delivery system is believed to hold significant promise for intractable cancers like malignant pleural mesothelioma, which rarely responds to standard cancer treatments at the safe dosing levels. Mesothelin is especially valuable as a target for mesothelioma treatment because it is primarily expressed by mesothelial cells which make up the membranes where mesothelioma tumors start. These cells, as the authors of the new study point out, are “expendable”, meaning that their destruction with targeted drugs would not threaten vital organs. A mesothelin-targeting ADC called anetumab ravtansine developed by Bayer is currently the focus of a multi-center trial as a second-line mesothelioma therapy. 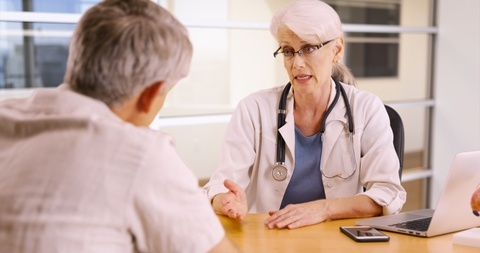 Currently, there is no standard therapy for treating mesothelioma patients who fail to respond or who relapse after first-line treatment. A key determinant for how well a person with mesothelioma will respond to treatment with an ADC is the level of the target molecule (such as mesothelin) in their cells. A mesothelioma patient whose cancer cells are expressing high levels of mesothelin is more likely to respond to treatment with a mesothelin-targeting ADC than someone whose cancer does not produce as much. “The development of a patient selection strategy linked to target expression on the tumor is thus critically important for identifying the population appropriate for receiving treatment,” conclude Lambert and Morris. Currently, five ADCs are in pivotal clinical trials for solid tumors. In addition to anetumab ravtansine for mesothelioma, there are ADCs in testing for platinum-resistant ovarian cancer, triple-negative breast cancer, glioblastoma, and small cell lung cancer.